There is little that I enjoy more than helping a newcomer to the goat world – helping them choose their new kids, discussing their first steps into our caprine world, and sending them off to start a new journey. Anyone who has purchased from me knows my famous line, “My goats come with life-time tech support.” I have always wanted to have happy customers over making a profit. Unfortunately, there is a dark side to any community, and I cannot express how terribly glum it makes me feel when I hear that one of my customers has partaken in it. What I’m talking about is indulging in the negative discussion of other breeders and their animals with others – “Badmouthing them” as most of us would put it. One year I set up a couple with some beautiful bottle doelings, and included a wether for no charge. We spoke at length when they picked up their animals, and they seemed happy, and I was happy. When I did not hear anything from them afterward (which is not unusual), I assumed they were content and trouble-free. Instead, they took it upon themselves to visit another breeder, and made it a point to speak incredibly poorly of me, the farm, and the animals. I was taken aback, and felt quite terrible when I heard that this had taken place. Unfortunately, this is not the first time – nor will it be the last – and it’s not an uncommon situation in our world. I cannot say why such ugly words were spoken, but I realize too, there are often many reasons for such things, and it goes both ways. It’s not just customers who might choose to twist the truth and belittle others. 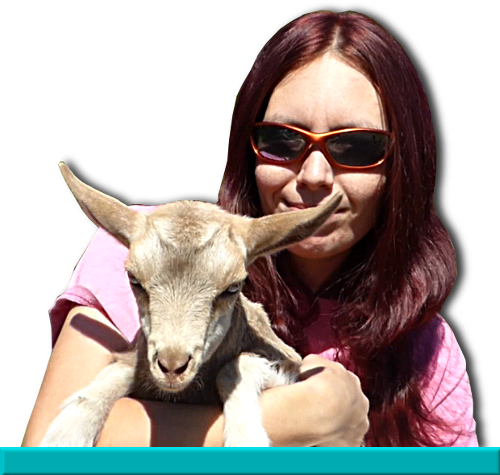 It was early on in my own goat buying endeavours that I experienced the other side of the coin – a breeder began to put down a neighboring breeder, extolling her and her animal’s faults in a diatribe that left me rather uncomfortable and wrong footed. Unsure of how to react, I remember laughing it off and changing the subject back to this breeder’s own animals – which were what I was there to see, after all, and leaving with a sour taste in my mouth. Needless to say, I did not purchase any stock. In my opinion, there is a huge range of reasons. For some, they had a bad experience and feel completely justified to rant about what happened. There can be no doubt, if one was truly wronged in a transaction, we feel compelled to tell others, to spare them the possibility of a similar experience, and I take little offense to that. The problem with these situations is that the truth becomes contorted, rewritten, and one-sided. One of the largest fiascos I have been involved in over the past few years started with a simple – but terrible – mistake, and ended with legal threats because it became blown out of proportion and damaging. Others seem to think that by speaking badly of another breeder, they may be showing their current breeder of interest how much they “know” – how much they appreciate this breeder as opposed to the other. Some may feel that this will create a sort of comradery, or let the breeder know that they are surely better than any of the others. This type I understand on a human level, but I abhor. To smear another’s name to make yours shinier shows a deep flaw in character, though not an uncommon one. Some too, simply seem obtuse to the fact that taking the time to critique and tear down another’s animals to a fellow breeder is incredibly bad etiquette. So what can we do, as breeders, when we learn that our customers are disparaging us or our animals to others? What can we do when a customer begins to slander one of our fellows as they stand on our farm? For the most part – nothing can, or should, be done. If a customer begins to slander another farm – whether I know them or not – I will make it a point to shift the conversation away, perhaps back to my own stock and how they may fit what the customer is looking for. Though it gives me a rather unpleasant feeling to hear, I understand too that it is often not malicious and the buyer often believes what they say is the entire truth, and I often have not nearly enough information to make a judgement call, nor do I feel as if I have the right. More hurtful is when we as breeders discover our customers are slinging mud behind our backs, but it is never in our best interest to confront the culprit and to cause a scene. If the customer feels they are in the right, they will merely redouble their efforts, and in the end, the trouble that comes from it is never worth the satisfaction that comes from calling out someone. If the situation becomes public – especially on the Internet – often the best course of action is to ignore it (if possible), or to make one carefully thought out and written statement that explains the facts of the situation, with nothing else, and leaving it be. In the end, most things blow over and are forgotten about in short order. I will say, on a personal note, that I refuse sales to anyone who has had the time to bad mouth me or mine. I breed for myself, first and foremost, and I will never allow myself to be in a situation where I feel I must sell my animals, so I have the luxury of such. Plus – if they have so much negative to say about you or your animals, why would they even want to buy more? I apologize for the lack of April’s Goat of the Month.